This vBulletin Theme is the perfect Dark template for your forums. Clan Template comes in Green, Blue, Red, Pink & Orange, and the best part you can install just one of the five colors or ALL, for your members to pick between. 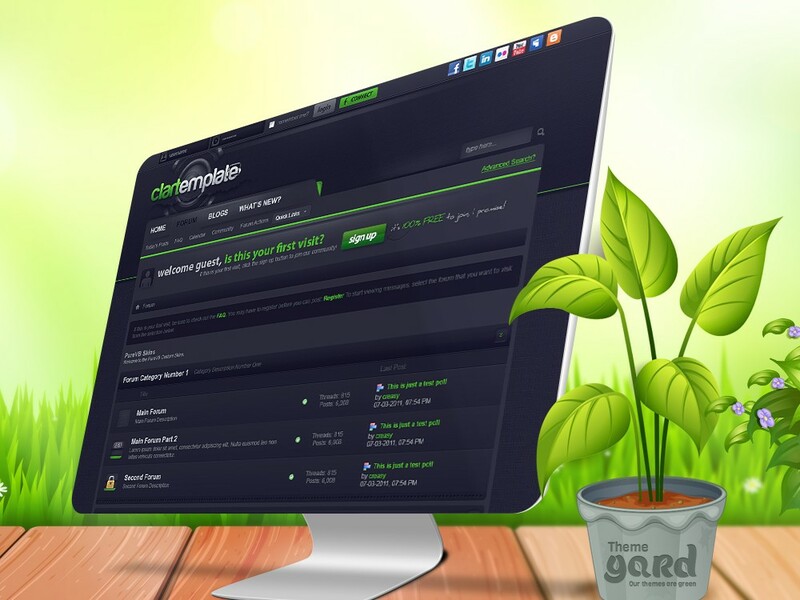 When we created this theme our idea was to create something very attractive to the gaming, role playing, and graphics forums, but quickly realized this theme is a fit for so many other types of forums out there. Does this Clan Template support vBulletin 4 & 5? Currently Clan Template supports only vBulletin 4. Send in your request to get Clan Templates updated to vBulletin 5. Does Clan Template work with Right to Left (RTL) Forums?